Neblett, Beard & Arsenault’s senior and founding partner, Richard J. Arsenault, will be presenting ” Illnesses With Long Latency Period” at the Litigation & Liability in the Workplace Continuing Legal Education program at LSU Law Center. The program will investigate the legal issues related to handling an on-the-job injury or employment cases. The ever-changing interrelationship between workers’ compensation and tort law and the overlap of new state and federal laws related to Medicare and Medicaid create new and challenging issues for the attorney handling either side of employment-related cases. 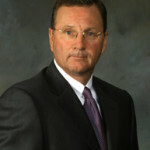 Arsenault is a frequent chairman and speaker at state, local and national legal seminars and is alumni of LSU Law.